Inspired by the famed Parker Duofold line of Parker pens, this reproduction captures the essence of the classic pen. 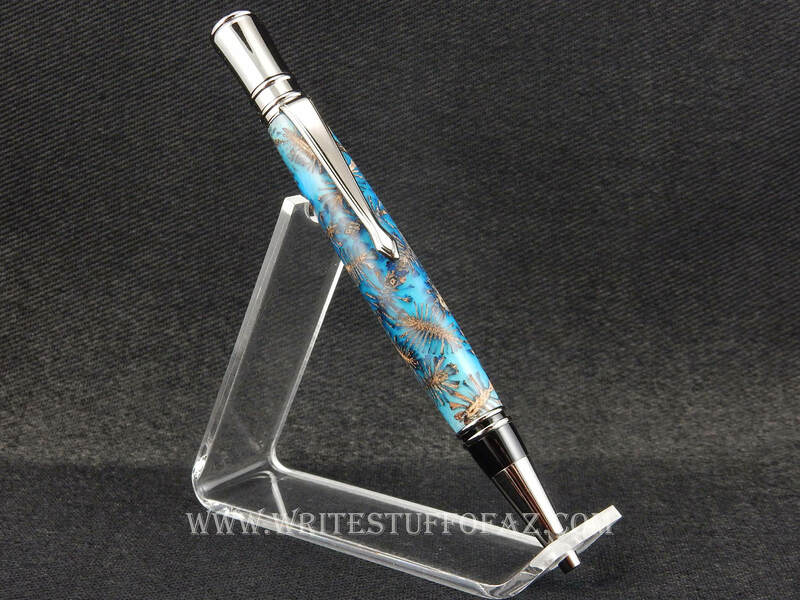 This pen has been hand-turned from miniature pine cones cast in polyurethane resin, then paired with jewelry-grade gunmetal plated fittings. The pen accepts a Parker style refill, available in either ballpoint or rollerball, in office supply stores nationwide.